“I have come from heaven, not to do my own will, but to do the will of him who sent me. but that I should raise it up on the last day. “After speaking in many places and varied ways through the prophets, God ‘last of all in these days has spoken to us by his Son’ (Heb 1:1-2). For he sent his Son, the eternal Word who enlightens all people, so that he might dwell among them and tell them the innermost realities about God (cf. Jn 1:1-18). Jesus Christ, the Word made flesh, sent as ‘a human being to human beings’, ‘speaks the words of God’ (Jn 3:34), and completes the work of salvation which his Father gave him to do (cf. Jn 5:36; 17:4). To see Jesus is to see his Father (Jn 14:9). For this reason, Jesus perfected Revelation by fulfilling it through his whole work of making himself present and manifesting himself: through his words and deeds, his signs and wonders, but especially though his death and glorious Resurrection from the dead and finally his sending of the Spirit of truth”. 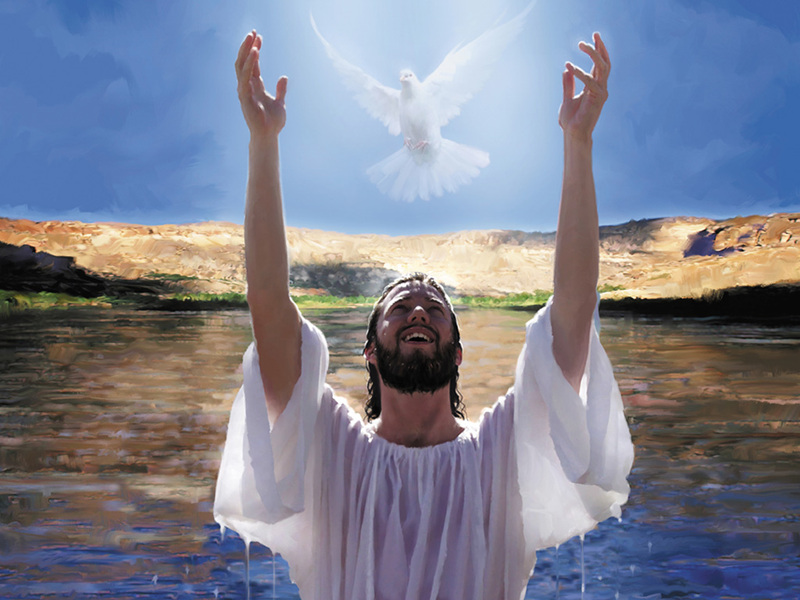 “(The Transfiguration)… a moment of light and life—for Jesus AND for Peter, James, and John. He and they were transformed. They realised who he was: the answer to the hopes of centuries: the Messiah. Jesus too at that moment knew his purpose in life. This Gospel challenges each of us to face the question, ‘what’s the purpose of my life? Where’s my life headed? What am I doing with the opportunities and talents and blessings God has given to me?’ Whatever the answer—be happy, help others, look after my family, enjoy friendships, love and be loved—they’re all good and worthwhile answers, but to be full of ‘light and life’ God’s purpose for each of us is the same: to come to Know, Love, and Serve Him.